Most of the printing and weaving in the 100 kimonos are examples of the 1920’s – 30’s era. There are also some traditional shibori designs; some of the colors in these, though, are purple, orange, and red. Others are from the late 19th century. Displayed are formal, semi-formal, and casual kimono, haori jackets, and undergarments worn by men, women, and children. These kimono are from the Montgomery Collection in Lugano, Switzerland. Be sure to get out and vote today! This is Nova, our California cat, who loves to get into things. 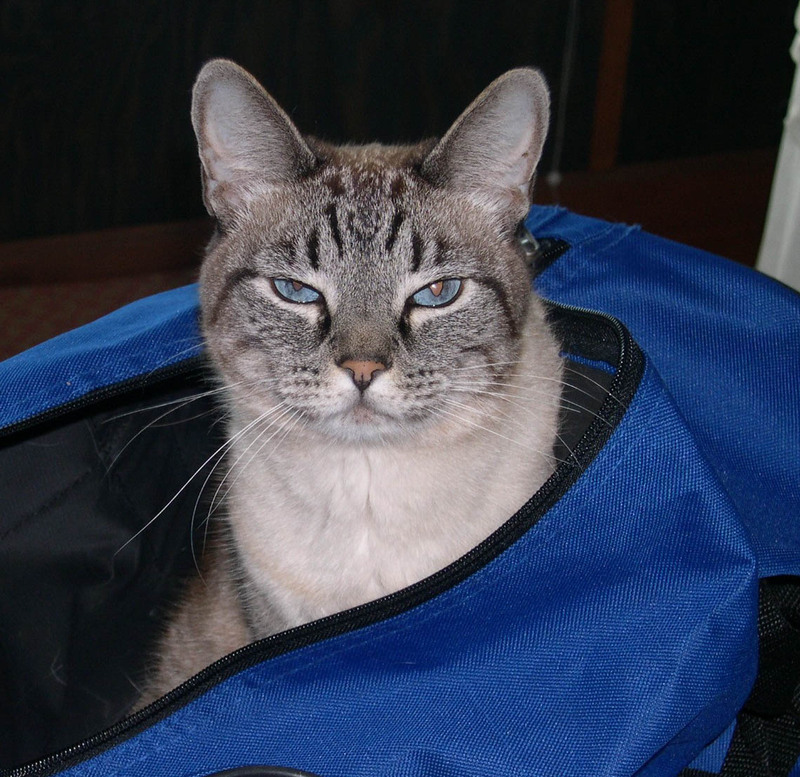 The duffel bag sure brings out her blue eyes. You are currently viewing the archives for November, 2008 at Woodhaven Studio's Weblog.